Buying your first car is an incredible and unforgettable experience. One option that many people often overlook, though, is making their first car a Pre-Owned car. This is a great option for first-time car shoppers in Arlington, Dallas, and Fort Worth for a variety of reasons. 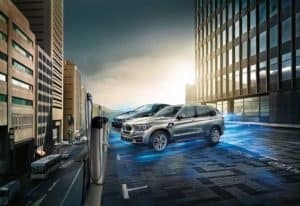 On this page, we at BMW of Arlington will show you why a Pre-Owned car is perfect for first-time car buyers. Read ahead to learn more! One of the biggest draws to buying a Pre-Owned car is the aspect of affordability. It’s no secret that Pre-Owned cars typically cost less than new cars depending on the make and model you’re looking at. With their affordability, a Pre-Owned car a perfect fit for first-time buyers because you’ll be able to stretch your budget a lot more if you’re looking at vehicles with lower price tags. As a first-time buyer, you also don’t have the advantage of using a trade-in to supplement your payment for your next vehicle. So, buying a Pre-Owned car is the best option. When you’re considering which new car to buy, you’re limited to the current year or maybe one or two years prior. 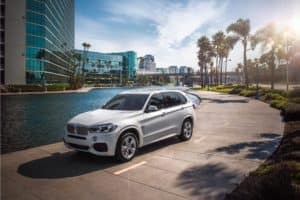 With Pre-Owned cars, however, you’ll have your pick of millions of Pre-Owned models from all model years, including models that have been discontinued. This can also include Pre-Owned models that barely have any miles on them. You’ll be able to find models that are practically brand-new but have enough miles on them to be considered Pre-Owned. This also includes certified pre-owned vehicles, which are also practically brand-new but are also restored by the manufacturer to ensure that they meet their high “like-new” standards. When a vehicle first comes out, there’s not a whole lot of information that comes with it. Brand-new models and new generations of models don’t have many customer reviews, official safety ratings, or EPA fuel economy estimates yet. In fact, it can sometimes take months for such information to come out. With Pre-Owned vehicles, though, you’ll have all the information you need and more to vet the vehicles you’re considering. Research the model you’re looking at with general reviews or look into a specific vehicle using car history reports. 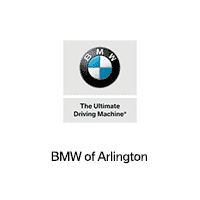 We at BMW of Arlington are excited that you’ve stopped by today to learn more about why first-time buyers should buy a Pre-Owned car. Now that you have a better idea of what’s in store for you when it comes to buying your first Pre-Owned car, we can help you take the next exciting step towards car ownership. Our dealership offers a wide variety of quality Pre-Owned cars to choose from right on our lot. Pre-Owned car shoppers in Arlington, Dallas, and Fort Worth should browse our inventory right on our website. Then, give us a call today to schedule a test drive!